And to that end, we’re delighted to welcome back our first confirmed sponsors – who else, but the magnificent NATorigin. James and Michelle – whom we now consider ‘old’ friends, in the most affectionate way! 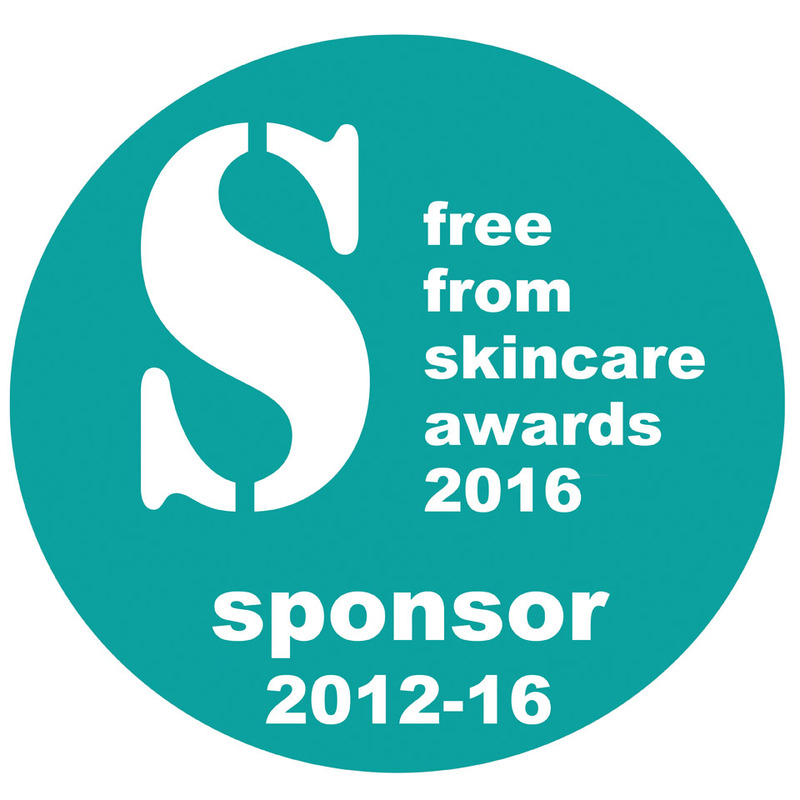 – have supported us since the inaugural Awards in 2012, and like the previous two years, they are sponsoring the Family Skincare category for 2016, which every year sees a strong and varied collection of entries for babies, pregnant and new mothers, kids of all ages, and products suitable for all the family, with terrific free from qualities. Over the years, we have reviewed a number of NATorigin’s ‘extreme tolerance’ beauty products on the site (including Lipsticks, Eye Make up products and cleansers / serum too) and our testers have always found their make-up particular suitable for reactive skin. In 2015, they were narrowly pipped to a Gold in the Make-Up category by Jane Iredale, but their silver-winning Powder Eye Shadow was described as a “lifesaver product” by one of our Beauty Bible Testers. One of the reasons we’re so proud to be supported by them is that they have always been transparent and clear about their exceptional ‘free from’ qualities – learn more about the ingredients they do not use in their products at their website here. In other news, we are also delighted to announce a new partnership between the FreeFrom Skincare Awards … and Formula Botanica. FB is an international organic cosmetic science school, whose director, Lorraine Dallmeier, was a judge at the 2015 FreeFrom Skincare Awards, and whose knowledge of natural ingredients and formulations is extraordinarily in-depth. 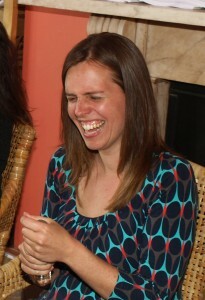 Here she is enjoying a joke – quite possibly related to judges collective inability to pronounce Niterenu! – in May. Formula Botanica is an online school, with experts worldwide, so students need only a good internet connection to participate in the courses offered. 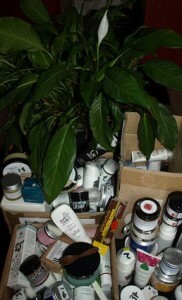 Have you dreamed of starting your own botanical skincare company? Don’t know where on earth to begin? Formula Botanica could be the ideal place for you – especially if you’re in a more remote corner of the UK, Ireland or indeed the globe. There are a number of different courses offered – including diplomas in organic skincare science, and organic skincare formulation, as well as certificates in facial masque therapy and – wow! – chocolate spa products – and the FB website has a handy ‘Course Selector’ quiz to find the one to suit your ambitions and needs. We didn’t know it at the time, but we’re proud to be able to say that one of Lorraine’s alumni – Gerlinde of Gerlinde Naturals – won a bronze in the Body Care (Leave On) category – with one tester calling her Body Lotion with Avocado and Arctic Blackcurrant “a perfect blend of technology and a homemade organic product”. Formula Botanica train award-winners, clearly! And that little quote perhaps perfectly encapsulates what we admire about Lorraine’s ethos and philosophy – it’s absolutely founded on a scientific approach, while championing the many benefits of plants in skincare. Her Herb Blurb blog is filled with informative articles that examine the supporting evidence for natural skincare options and tackles the myths that so often hamper it – it’s well worth a read, we promise, and her involvement in our Awards is a great boost to us. So … what of the Awards? Well, they open in February, and all the categories from 2015 will remain in 2016. We’re actively looking for sponsors – so if you’re a brand which may be interested, do take a look at the benefits and get in touch – and if you are a consumer fan of particular organic or natural skincare brands, do let them know about the Awards, as word of mouth really helps. We’ll start to send out mail shots in early January, but you can also keep up to date with news by subscribing to our free monthly newsletter. 1. We are ‘reversing’ judging next year. Next year, ALL entries will first go forward to Beauty Bible testers, with the top performing ones shortlisted, and progressing to judging panels to decide winners and medallists. 2. We have a new category – Fresh and Fragrant – which will include oral care products, deodorants, perfumes and other products which freshen or fragrance the body! And we are also introducing a special FreeFrom Achievement Award for a product with outstanding free-from qualities or which perhaps meets a specific need in allergy-friendly skincare. Thank you George, of Bathing Beauty, for that suggestion! 3. Most importantly, we are delighted to welcome back, for the fourth consecutive year, NATorigin as our first confirmed sponsors for 2015 (Family Skincare). Their support has been invaluable over these early years of the Awards – thank you, Michelle and James, for your faith in us and the Awards, since the very start! If you want to learn more about their products, check in to their site – not least for their terrific free from credentials here. If you want to know more, we’ve almost finished updating our Awards site at www.freefromskincareawards.co.uk – and do leave questions here or email us for more information about any aspect of the Awards!